The PSLV took off at 2234 GMT (6:34 p.m. EDT) with a rush of flame from a solid-fueled core motor and four strap-on solid rocket boosters. Two more augmentation rockets ignited around 25 seconds after liftoff to give the 145-foot-tall (44-meter) launcher another boost into a predawn sky over India’s spaceport on Sriharikota Island, a piece of land on the country’s eastern coastline. A liquid-fueled second stage Vikas engine, a third stage solid rocket motor and a twin-engine fourth stage fired in succession as the PSLV shed spent rocket components over the Bay of Bengal heading to the east-southeast from Sriharikota. The mission director stationed at the spaceport’s launch control center announced the successful separation of India’s ninth navigation satellite — IRNSS 1I — approximately 19 minutes after liftoff. A live video feed from the PSLV’s fourth stage showed the 3,141-pound (1,425-kilogram) spacecraft flying away from the rocket. 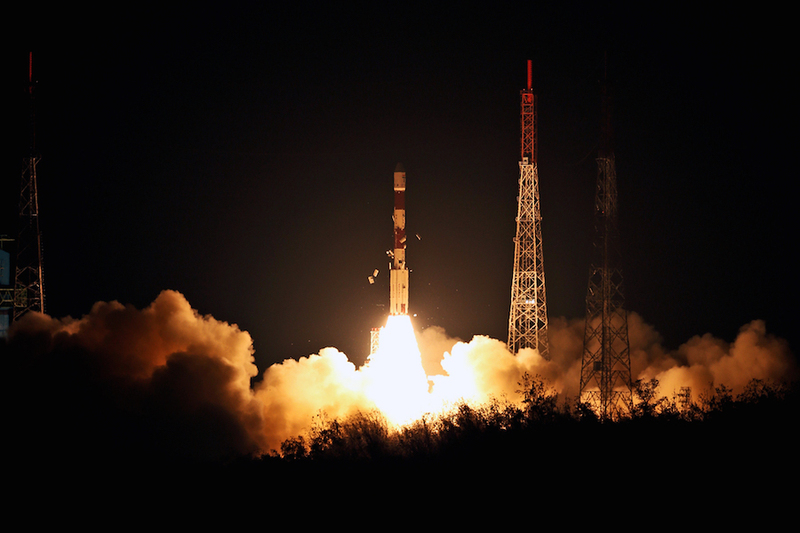 Indian Space Research Organization officials quickly declared success on the mission, which launched at 4:04 a.m. Indian Standard Time on Thursday. 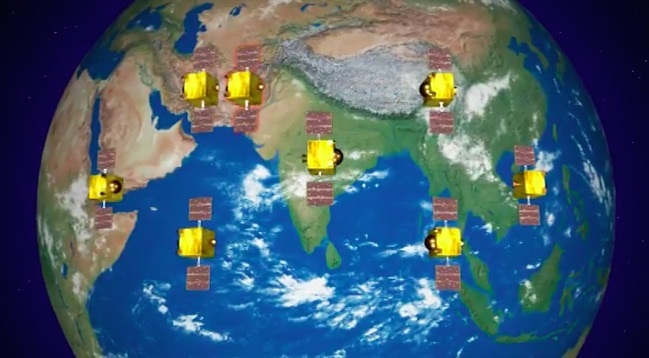 The IRNSS 1I satellite joins seven other satellites in the Indian Regional Navigation Satellite System, also known as NavIC, which stands for Navigation with Indian Constellation. The other IRNSS payload built and launched by India failed to enter the navigation network when it was stranded on its rocket during a PSLV flight in August. On that mission, the PSLV’s payload fairing failed to jettison from the rocket as programmed. The satellite remained inside the nose shroud after the rocket reached a lower-than-planned orbit. India has conducted three space launches since the mishap last year, including two PSLV missions, all successfully. Wednesday’s flight was the second launch by ISRO in less than two weeks, after the March 29 liftoff of a Geosynchronous Satellite Launch Vehicle Mk.2, a more powerful rocket than the PSLV. 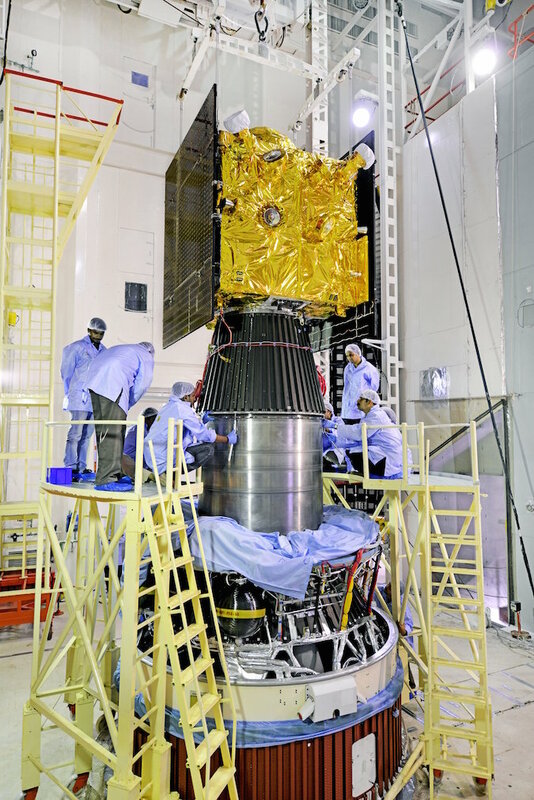 The March 29 mission lofted India’s GSAT 6A communications satellite designed to provide mobile video and data services across the Indian subcontinent. But ground controllers lost contact with GSAT 6A two days after launch, soon after the satellite’s on-board engine completed the second of three planned maneuvers to maneuver into its planned perch in geostationary orbit more than 22,000 miles (nearly 36,000 kilometers) over the equator. Indian engineers have been unable to restore communications with GSAT 6A. The Times of India reported Tuesday that ISRO continues to track the satellite in orbit, suggesting GSAT 6A remains intact. 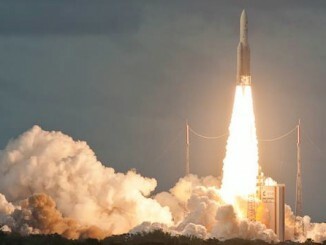 ISRO officials did not mention GSAT 6A in their remarks after Wednesday’s flight, codenamed PSLV-C41, which placed the IRNSS 1I navigation satellite into an on-target orbit ranging between 174 miles (281 kilometers) and 12,881 miles (20,730 kilometers) above Earth, according to R. Hutton, the mission director. 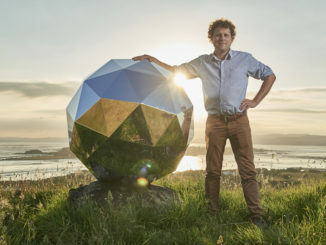 IRNSS 1I is scheduled to enter service in May, after four orbit-raising burns with the satellite’s main engine to climb into a circular geosynchronous-type orbit at an altitude of more than 22,000 miles. The craft’s operating orbit will be tilted at an angle of 29 degrees to the equator and centered at 55 degrees east longitude, requiring a plane change from the 19.2-degree inclination targeted on Wednesday’s launch. Developed to replace the IRNSS 1A satellite, which launched in 2013 with faulty atomic clocks, the new satellite will begin a 10-year mission beaming time-stamped navigation signals across India and neighboring countries. IRNSS 1I is also heading to the same slot in the Indian navigation constellation that was intended for the spacecraft lost on the failed launch in August. The NavIC constellation has three satellites in circular geostationary orbits over the equator, and four craft in inclined orbits — like IRNSS 1I — that oscillate north and south of the equator, ensuring multiple satellites are always high in the sky over the Indian subcontinent. The Indian navigation network provides position estimates with a precision of about 66 feet, or 20 meters, to users in India and across a region extending up to 900 miles (1,500 kilometers) from its borders, according to ISRO. The program provides enhanced navigation coverage when combined with signals from GPS satellites, and independent positioning data in case foreign navigation signals are cut off. K. Sivan, ISRO’s chairman, said the launch of the IRNSS 1I satellite completes the first phase of the Indian navigation system. The Indian government will now focus on completing development of user applications, ground terminals and other technology to allow Indian citizens, the Indian military, airliners and ships to relay on data from IRNSS satellites. The launch Wednesday marked the shortest time between rocket flights from the Satish Dhawan Space Center at Sriharikota. It was the 43rd flight of a Polar Satellite Launch Vehicle, 41 of which have been successful, and the 20th mission to fly in the PSLV XL configuration with bigger solid rocket boosters. The GSLV flight March 29 used a different launch pad at Sriharikota, has two launch facilities for parallel campaigns. ISRO officials said the rocket launched Wednesday was also the first to fly with propellant tanks constructed using a technique called friction stir welding, a more efficient manufacturing method used on SpaceX’s Falcon rocket family and NASA’s Space Launch System. The introduction of friction stir welding is “going to improve the productivity and also enhance the payload capability of the vehicle,” Sivan said. Sivan said ISRO has nine more missions planned in the next eight months, including the third test flight of India’s GSLV Mk.3 rocket — the country’s biggest launcher — and the deployment of a high-power broadband communications satellite in late May aboard a European Ariane 5 rocket. In October or November, India plans to launch the Chandrayaan 2 mission, a combined lunar orbiter, lander and rover, on a GSLV Mk.2.